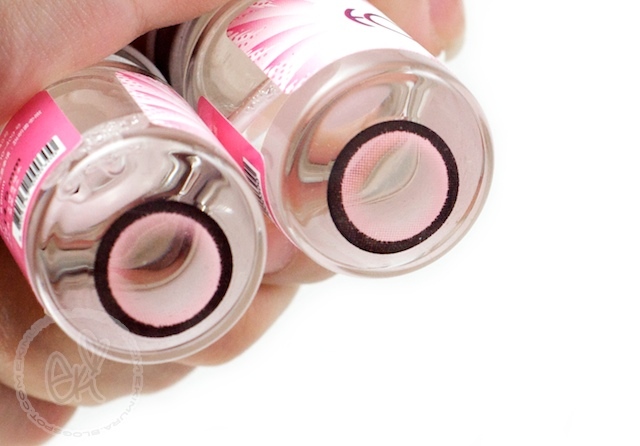 -1 point for bold circles around the lens can look overpowering and -1 point since this lens can get alittle uncomfortable after long period of wear. But with -2 points I still really like this lens! its really similar to Pure max pink lens that I have reviewed in the past in terms of the color and the effect but this one more bold due to its vivid black ring so they seem to be more contrast to the eye and so the Pink color is more noticeable :D Give off very pretty gradient pink shade that blends into the natural eye color and also gives off some what of halo effect and looks really unique and pretty. Pinkyparadise.com and have given me special offer code to my readers! They really look so beautiful on you ! Eventhough these pink lens are more hot pink, they still look really good on you~ Thank you for giving your honest opinion as always =). I really liked the video with you and the eyelashes from Dolly wink =). Try to take care of yourself Eki and stay stress free as much as possible ^__^ Don't worry about uploading and posting in your blog and store until your screen is fixed~ I know what you mean at being more efficient working on a desktop rather than a laptop =P I love doing everything on the desktop! But my bf uses it to play games most of the time, so I just use my laptop for regular email checking and note-taking in class, but when I have projects and hw to do, I use the desktop ;)~ Miss you~ Be strong and take care! Thank you for sharing with us your favorite hair color again =D. I love these pinky eyes on you so cute!!! Ooh... I really like the pink contacts! awesome... you look great in the video! oh wait you are wearing falsies! lmao sorry. but i still wish i had your talent! to make myself look so naturally beautiful everyday..
Hi Eki :) I'm a new follower and I spent the majority of the past few days reading your entire blog.. every single post!! It was a lot of work I tell you! :D I just wanted to say that you are super cute and I enjoyed reading everything! The video quality for this was A-MAZING! O_O love it! Sorry for so many questions :p and keep up the great work! I love the halo effect! 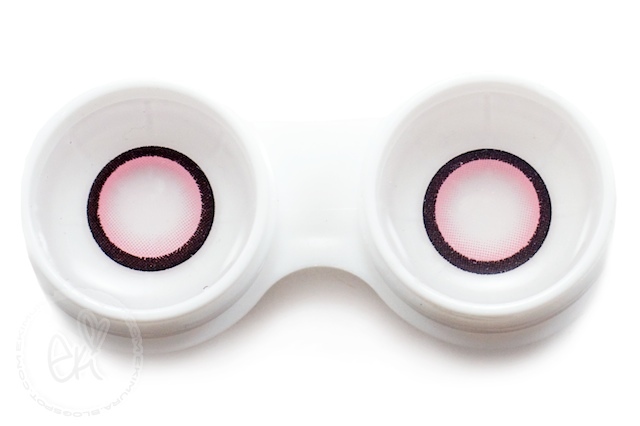 I've never tried circle or colour lenses but they look so cool and interesting! these are so pretty in natural lighting :) you're very pretty with pink eki! They look so great on you. Not natural, but not unnatural. They pair well with your natural eyecolor and your haircolor is quite lovely with it. hi girl. may i knw what kind of false lashes you are using here? Hi Eki, :] i was reading your blog and was wondering, Does the Oriental: Gold BB Cream lighting up your skin and no breakouts? I don't know which one is better to get, either The Oriental: Gold BB Cream or skin79 triple function bb cream hot pink. Which do you prefer is better? I breakout a lot at times and my skin is oily combination. i Have few scars, discoloration and dark circles =(. I need to lighting up my skin. Which bb cream is better at lighting up the skin, scars and covers really good =D? Sorry i asked to many question >w<. you don't need to rush to answer. Take your time =3. And I like your blog a lot. luv you hair color.. what is it?? i tried to dye my hair w/beige blonde but I didn't get what I want, as what in the photo shpw..
now im planning to dye my hair again with light ash blonde.. what do u think? where can i buy it?how much?